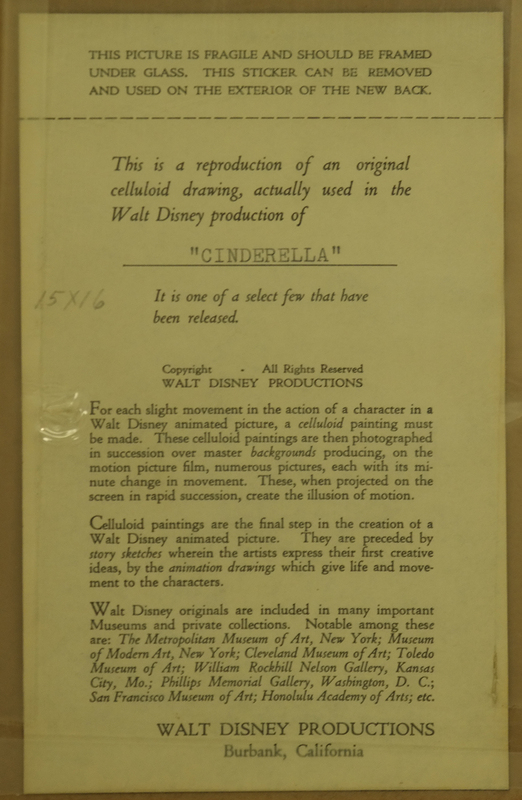 This is an original Dye Transfer Print from the Walt Disney Studios, featuring image from the production Cinderella (1950). 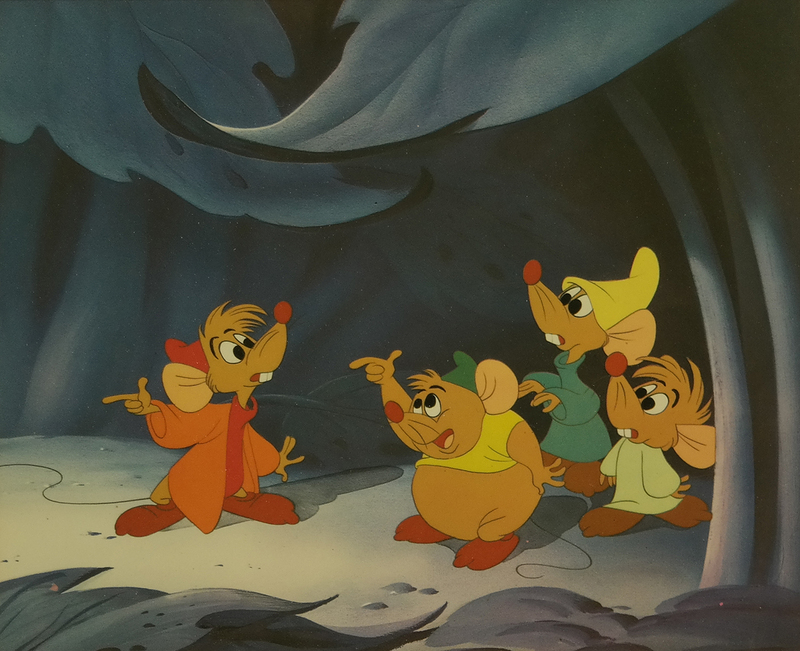 This Dye Transfer Print features Gus, Jaq, and the other sewing mice and was created at the studio from the origianl art of the film. Dye transfer prints are an older print type that was used by the studio to reproduce lush, saturated colors that still hold up to today, but the technique is no longer used. 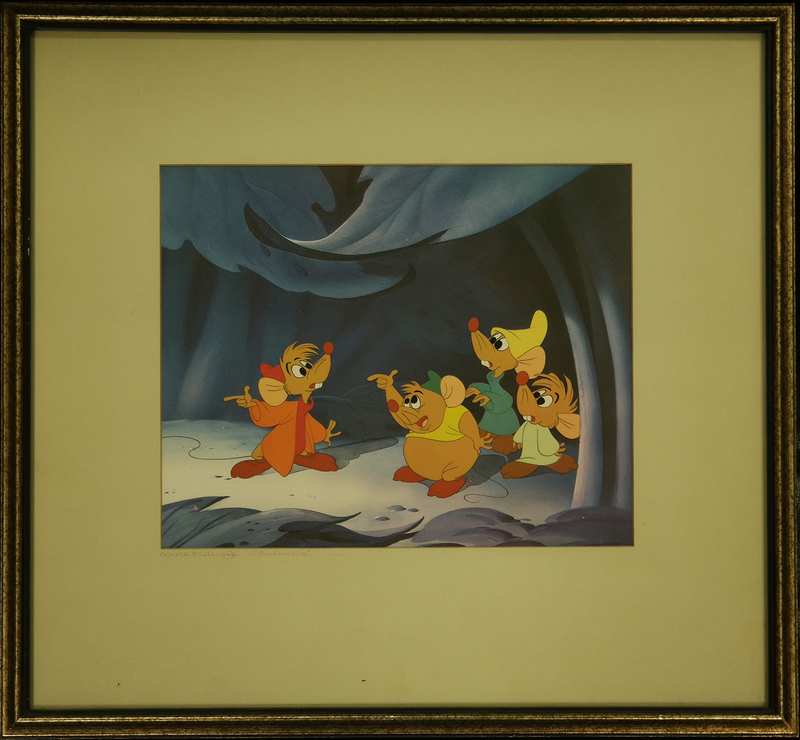 The overall measurements of the piece are 15.5" x 16.75" framed and the image itself measures 8" x 9.75".The piece is in its original frame and has its original sticker COA on the back of the frame.